Elegantly simple and yet practical, this Arctic Shoe Cabinet is an impressive feat of engineering. The slots for shoes slide easily back inside the unit to leave a clean, smooth effect. Shoe storage is no longer a problem with this beautifully designed unit. 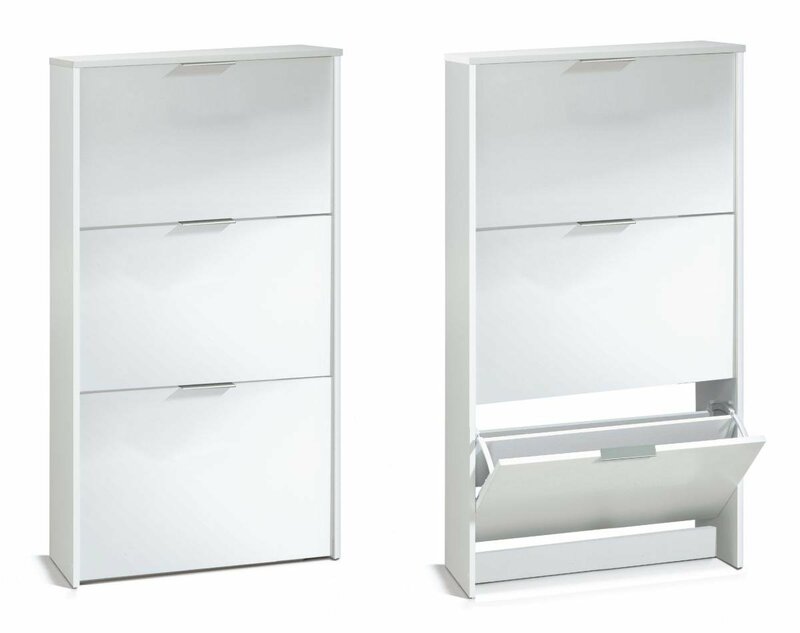 Also available with five doors or six shelves plus mirrored door for even more storage and practicality. Whatever you shoe needs, this Unit has the answer.